Since the first human harvested fire we have always marveled at its existence. Fire had a remarkable significance long before the history books were written. It has always been the center of ritualistic processes and carries certain metaphors to many different people of many different cultures around the world. In the modern world of today, candles can bring us back to a more natural holistic state of mind. 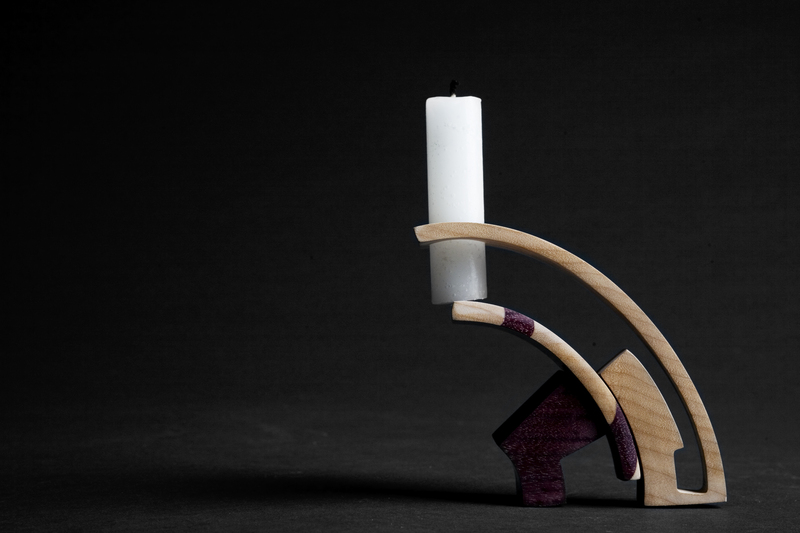 This candleholder design was centered on the relationship between three individual pieces. There is obvious male and female form working together in order to support the middle form representing a couple’s relationship. Since fire is a creation of our natural world and the elements surrounding us I found it appropriate to approximate the design within the golden spiral. 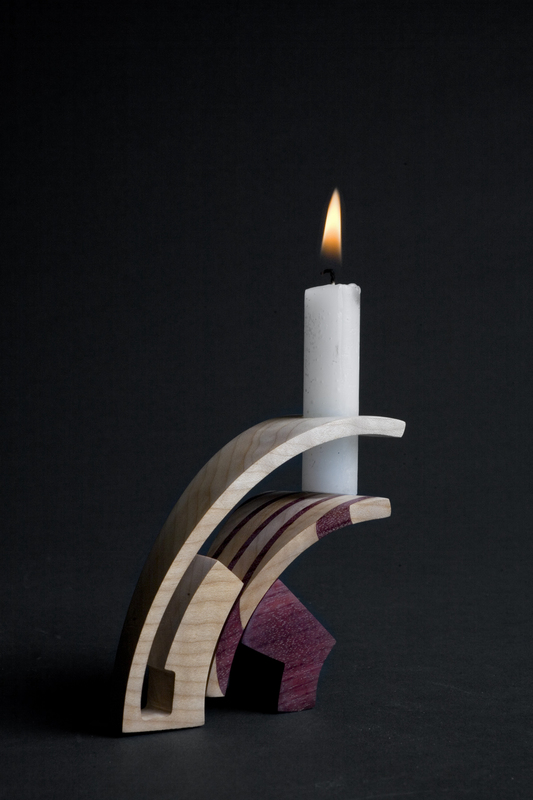 The curves that make up the candles pieces are curves that come from the golden ratio that correlates directly to nature. Linking the form to the golden proportions unifies the candleholder and the candles flame. 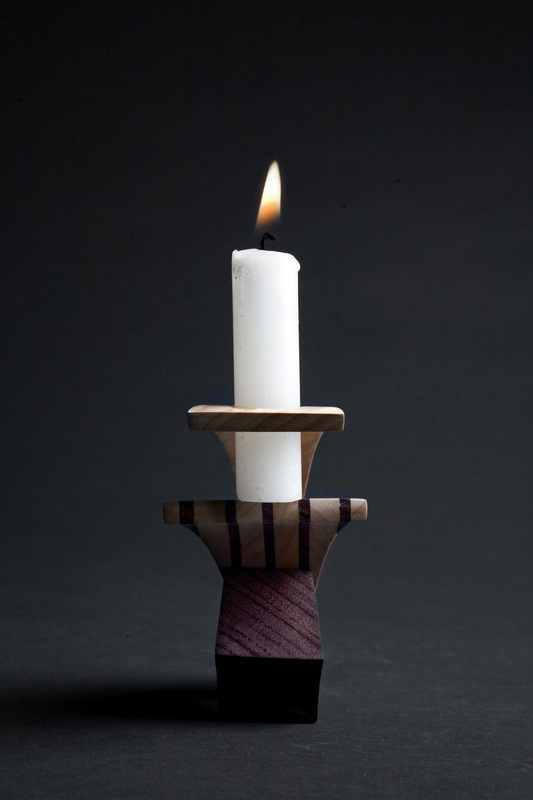 Incorporating Purple Heart wood into he final design speaks to people seeking spiritual fulfillment. It is said “if you surround yourself with purple you will have peace of mind”. I also felt that the design need some additional element that visual communicated a difference between the three components.